Combining style with functionality, this beautiful black suede handbag is suitable for any occasion. The high quality suede material ensures that this bag will last and keep its shape perfectly, while the black leather strap can be adjusted so that it fits comfortably on the shoulder. 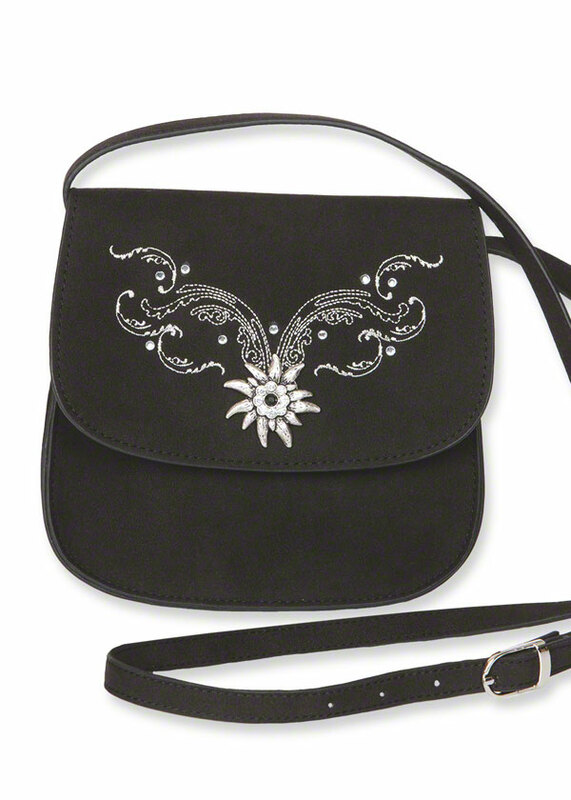 Intricate white embroidery in a traditional bavarian pattern adds an extra touch of flare to this attractive shoulder bag. The bag is the perfect accessory to wear with a traditional bavarian costume and is also suitable enough for everyday use. Produkt wie auf der Abbildung, gute Qualität und Verarbeitung. Gute Verarbeitung, entspricht genau der Abbildung.